My hair texture is changing at the moment... to be more precise, the changes started when I went back to Hong Kong during my Xmas holiday. My hair has always been dry, frizzy and lack of moisture, so anything that says "hydrating", "nourishing", "repair & moisturise" would be right up my street. I always go for thick conditioner, I like it so thick that it can hold my hair up to a bun while in the shower. While I was in Hong Kong for my holiday, my hair suddenly turned quite greasy so I changed to the light and refreshing Bumble & Bumble Seaweed shampoo and conditioner (my blog post here). I thought the changes was due to the differences in weather between Hong Kong and London. When I came back to London recently, I went back to my old routine using the extra hydrating conditioner, but I found that my hair didn't seem to like the heavy conditioning anymore! 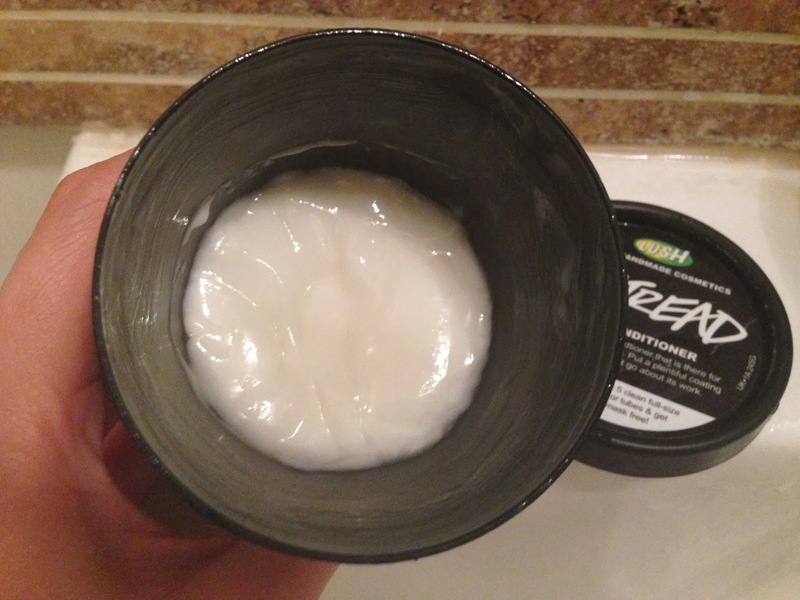 So I was looking for a lighter conditioner and I found Lush Retread Hair Conditioner. What I love about this hair conditioner is that it gives just the right amount of nourishing quality to make my hair feel moisturised without the heaviness that may drag my hair down. My hair feels so soft and light afterwards. The texture of Retread is still thick enough to hold my hair up into a bun in the shower, but not as thick as some other conditioner that it could plaster my hair together. Retread smells quite nice too! It has soy milk, olive, jojoba and avocado oils in it to give hair a deep conditioning, yet the lightness comes from the seaweed and lanolin base. 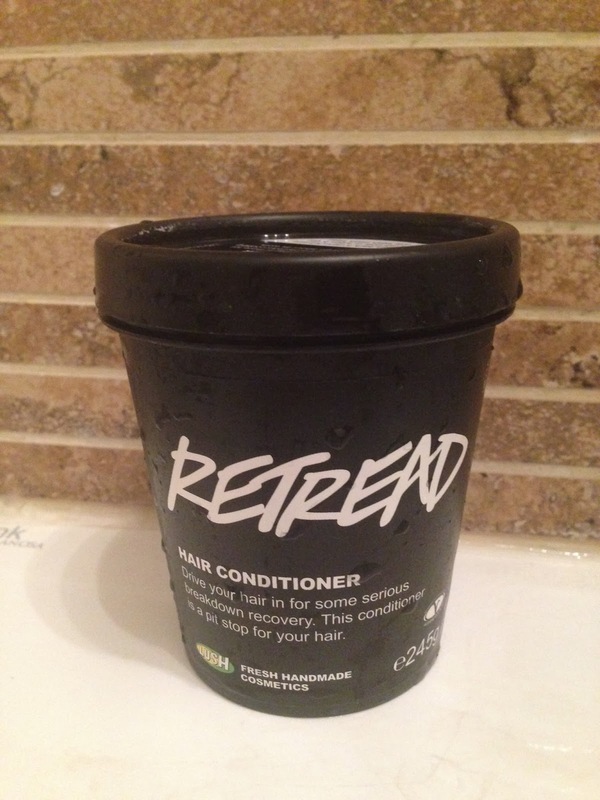 My old extra hydrating conditioner will now turn into my weekly treatment, as for everyday use Retread is the winner! !